COLOMBO, Sri Lanka, Sep 11 2018 (IPS) - Responding to a persistent demand by developing countries, the conservation community and science, the UN General Assembly has commenced a process for bringing the areas beyond national jurisdiction in the oceans under a global legally binding regulatory framework. Approximately two thirds of the oceans exist beyond national jurisdiction. The Law of the Sea Convention (UNCLOS), concluded in 1982, currently provides the broad legal and policy framework for all activities relating to the seas and oceans, including, to some extent, for the conservation and sustainable use of marine biological diversity beyond areas of national jurisdiction (BBNJ). However, despite the comprehensive nature of UNCLOS, many feel that BBNJ is not adequately covered under it as detailed knowledge of BBNJ was not available, even to the scientific community, at the time. Advancements in science and technology have brought vast amounts of knowledge to our attention in the years following the conclusion of UNCLOS. Today human knowledge about the oceans, including its deepest parts which were inaccessible previously, is much more comprehensive and new information continues to flood in due to significant scientific and technical advances. UNCLOS, referred to as the ‘Constitution for the Oceans’ by the former Singaporean Ambassador Tommy Koh, came into force in 1994,and will necessarily be further elaborated as human knowledge of the oceans increases and human activities multiply. It is already complemented by two specific implementing agreements, namely the Agreement relating to Part XI of UNCLOS, which addresses matters related to the Area as defined in the UNCLOS (the sea bed beyond national jurisdiction), and the Agreement for the Implementation of the Provisions of UNCLOS relating to the Conservation and Management of Straddling Fish Stocks and Highly Migratory Fish Stocks. The proposed treaty on BBNJ will be the third implementing agreement under the UNCLOS. The seas and oceans, which have acquired unprecedented commercial value and have become a major source of global nutrition, have also been the subject of considerable international rule making, most of it piecemeal. An estimated 200 million people world-wide make a living from fishing and related activities. Mostly in poor developing countries. Fish provide at least 20 % of the animal protein intake of over 2.6 billion people. 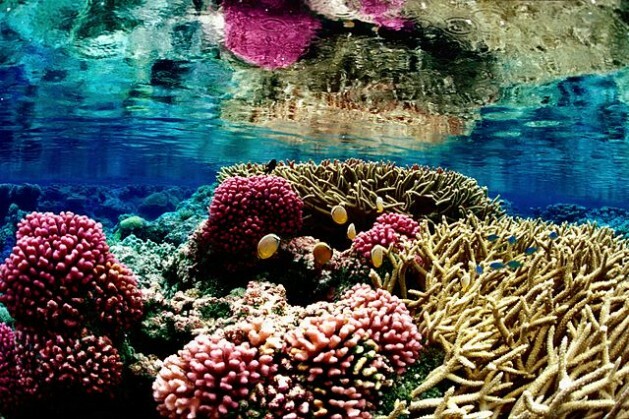 A treaty on BBNJ, as envisaged, while filling a gap in the existing global regulatory framework, will also result in significant areas of the oceans being set aside as Marine Protected Areas (MPA) to provide protection to marine biological diversity, its critical habitat, including spawning areas, as well as ensuring the equitable division of the benefits resulting from the scientific exploitation of such resources, especially through the development of new products. sustainable use of marine BBNJ, have been put in place already. At the global level, these include inter alia, the regulations adopted by the International Seabed Authority for the protection and preservation of the marine environment in the Area; the Convention on Biological Diversity (CBD); instruments adopted by the Food and Agriculture Organization of the United Nations (FAO); measures adopted by the International Maritime Organization; measures relating to intellectual property in the context of the World Trade Organization and the World Intellectual Property Organization. At the regional level, the relevant measures include those adopted by regional fisheries management organizations and arrangements (RFMO/As) by regional seas organizations having competence beyond areas of national jurisdiction. A range of non-binding instruments/mechanisms also provide policy guidance of relevance to the conservation and exploitation of marine biodiversity, including beyond areas of national jurisdiction. These include the resolutions of the UN General Assembly on oceans and the law of the sea and on sustainable fisheries, as well as the Rio Declaration and Chapter 17 of Agenda 21 adopted at the 1992 United Nations Conference on Environment and Development, the Johannesburg Plan of Implementation adopted in 2002 at the World Summit on Sustainable Development, the outcome document of the 2012 United Nations Conference on Sustainable Development, i.e. The future we want, and the 2030 Agenda for Sustainable Development, in particular Sustainable Development Goal 14 (Conservation and sustainable use of the oceans, seas and marine resources for sustainable development). However, despite the existence of the above regimes, the need for a legally binding multilateral instrument to govern the protection, sustainable utilisation and benefit sharing of BBNJ has been advocated by a range of interest groups for some time. A champion of this process has been Argentina. The negotiation process. Smooth sailing or rough seas ahead? The UN ad-hoc working group (WG) on BBNJ, established by the GA in 2004, in response to the demands of a majority of the international community, took over ten years to finalise its recommendations in February 2015. Initially, the WG made little progress and was running the risk of being terminated. Since 2010, it was co-chaired by Sri Lanka (Ambassador Dr Palitha Kohona) and the Netherlands (Dr Liesbeth Lijnzard). While the subject was not easy, and many delegations were only beginning to grasp its complexities, curious coalitions began to form. The Group of 77 (G77) and the European Union (EU) formed a common and a powerful front for different reasons. Many strategic negotiating approaches were discussed behind the scenes and effectively deployed by these two unlikely allies resulting in a successful outcome to the work of the WG. Basically, the G77 wanted the future exploitation of BBNJ regulated globally so that the anticipated benefits would be distributed more equitably and marine technology transferred consistent with the commitments made under the UNCLOS. Already significant numbers of patents based on biological specimens, including microorganisms (12,998 genetic sequences), retrieved from the oceans, many from hydrothermal vents, have been registered. (11% of all patent sequences are from specimens recovered from the ocean). 98 per cent of patents based on marine species were owned by institutions in 10 countries. The German pharmaceutical giant, BASF, alone has registered 47% of the patented sequences. The financial bonanza that was expected from the commercialisation of these patents was hugely tempting. It is estimated that by 2025, the global market for marine biotechnological products will exceed $6.4 billion and was likely to grow further. The EU, for its part, wanted to reserve large areas of the oceans for marine protected areas for conservation purposes. Conservation in this manner would result in providing space for genetic material to replenish itself naturally. The goals of the two groups were not necessarily contradictory. The reservations on the need for a global legally binding regulatory mechanism for BBNJ were expressed mainly by the US, Japan, Norway and the Republic of Korea. Their interest was in preserving the unhindered freedom of private corporations to exploit biological specimens to conduct research and produce new materials, including drugs, biofuels and chemicals for commercial purposes. These corporations needed the assurance that the billions that they were expending on research would produce financially attractive results. The difficulties involved in identifying the sources from where the specimens were recovered (whether beyond national jurisdiction or within), the costs usually associated with a discovery and bringing a commercially viable product into the market place, the actual need for a legally binding instrument in the current circumstances, the possibility of achieving the same goals through a non binding instrument, etc, were some of the concerns articulated. These concerns are expected to be raised during the treaty negotiations as well. The US which held out to the bitter end preventing consensus at the WG is not even a party to the UNCLOS. A Preparatory Committee established by the UNGA to make recommendations on the elements of a draft of an international legally binding instrument (ILBI) on the conservation and sustainable use of marine BBNJ under UNCLOS, prior to holding an international conference met in four sessions in 2016 and 2017. Treaty negotiations began in September 2018 following the organizational session (in April 2018) and the conclusion of the fourth and concluding session of the Preparatory Committee. It could be expected that the US and the like-minded group, reflecting a recognisable private enterprise oriented policy bias, would continue to raise objections affecting the smooth progress of the negotiations. The Trump administration, which has made it a habit of distancing itself from compacts to which the US had solemnly subscribed cannot be expected to be more sympathetic to the BBNJ aspirations of the G77 and the EU any more than the Obama administration. The Secretary-General is the depositary of over 550 multilateral treaties, mostly negotiated under the auspices of the United Nations. The UNCLOS and its two implementing agreements are examples. These are customarily deposited with the SG due to the recognition that he enjoys in the international community as a high level independent global authority. The proposed treaty on BBNJ would in all likelihood, be deposited with the UN SG, when concluded. The day to day management of activity relating to these multilateral treaties is the responsibility of the Treaty Section of the UN Office of Legal Affairs, a function which dates back to the early days of the creation of the UN. Exceptionally, a major multilateral treaty may be deposited elsewhere. For example, the NPT is deposited with the governments of the US, UK and Russia. Under Article 102 of the UN Charter all treaties, both multilateral and bilateral are required to be registered with the UN. The UN is the custodian of over 55,000 bilateral treaties so registered, currently available on line.